Until 1988, the financial system in Vietnam consisted of the State Bank of Vietnam (SBV) and its agency network up to provincial level, which distributed credit to SOEs and other entities under directives of the central plan, and handled deposits of these SOEs and entities. In 1988-89, the government initiated banking reforms that transformed the mono-banking system into a two-tiered banking system, that is, the SBV restricted itself to acting as the central bank, and its commercial banking activities were taken over by sector-specialized state-owned commercial banks. In 1990, the rules on the sectoral specialization of these banks were removed. During the 1990s, the Government stimulated the entry of new players into the financial sector, a policy which led to a substantial increase in the number of representative offices and branches of foreign banks as well as so-called joint stock commercial banks. Joint ventures between foreign banks and state-owned commercial banks were also established, but the services they offered were strictly circumscribed. Non-bank financial institutions, such as finance, leasing insurance companies and later on, securities brokerage, fund management companies have also been established. As a young and newly developing country, the Vietnam bank-based financial system is assessed as under developed. The Vietnamese government has undertaken several reforms of the financial system, i.e. renovation of the legal framework for the banking sector including en-action of the Law on the SBV, Law on Credit Institutions and ordinance on foreign exchange as well as an issuance of implementation guidelines. The SBV has also issued measures to enhance the soundness of the country’s banks. These laws and measures help secure loans granted by credit institutions and improve their financial transparency. The SBV has also reduced its intervention in state-owned bank’s operation to encourage their commercial orientation, leading to a diversification of the financial system. From 2007 to 2009, the foreign currency market has fluctuated unusually. In 2008, FDI capital increased significantly up to US$6.4 billion and decreased by 70% in 2009. At the same time, there have been many complicated fluctuations in the international financial and foreign currency market. The value of some strong currencies also had increased and decreased irregularly. Price of some major products, such as oil, rice, steel, etc. changed continuously. Even though the SBV and related government ministries have been implementing several measurements to stabilize the foreign currency market, the VND still has been devalued. In 2009, while the currency market has not overcome the devaluation pressure, the world financial crisis has continued to impact the Vietnam economy leading to significant decrease in export quota, FDI capital and international tourists to Vietnam. International trade balance from a surplus of US$10.17 billion in 2007, US$273 million in 2008 to a deficit of US$1.9 billion in 2009, the highest deficit in recent years. The Government is committed to seeing the VND secure the status of the primary currency used in the economy. For that reason, certain restrictions were imposed on the use of foreign currency in Vietnam. The local foreign exchange market in Vietnam is, however, subject to regulatory controls. While sale and conversion regulations were relaxed in 1999, foreign companies were only given the right to convert VND into US$ to cover current payments in January 2001. The requirement for the compulsory conversion of foreign currency revenue from current transactions, at the rate of 80%, was also introduced in September 1998. This requirement was, however, removed in May 2003. On 13 December 2005 and 28 December 2006, the government issued the Ordinance on Foreign Exchange Controls and Decree No.160-2006-ND-CP providing regulations for implementation of Ordinance on Foreign Exchange Controls respectively which provides detailed regulations for implementations of foreign exchange activities of residents and non-residents in current transactions, capital transactions and use of foreign currency, etc. Residents and non-residents being individuals with foreign currency cash shall be permitted to store or carry such cash personally to donate or bequeath it, to sell it to an authorized credit institution, to remit or carry it overseas to service lawful purposes, or to pay it to entities entitled to collect foreign currency pursuant to this Decree. Residents being individuals with foreign currency cash shall be permitted to deposit it in savings accounts at authorized credit institutions, and to withdraw the principal in and to receive interest in foreign currency cash in accordance with the Law on foreign currency savings accounts11. 2. The use of currencies of countries with common borders with Vietnam to purchase or sell goods in border areas and in economic zones of border gates must comply with regulations of the SBV13. The foreign exchange rate is set by averaging rates from the previous day’s inter-bank transactions. This crawling peg system has established a trading band that allows VND/US$ exchange deals to be executed within a tight band. The Government is, however, planning to move towards a more market-determined exchange rate in coming years. Daily spot exchange rates are announced by the SBV based on the previous day’s average rate on the interbank market. Other banks must then trade within +/- 3% of this official rate. Enterprises with foreign owned capital and parties to Business Cooperation Contracts (BCCs) may buy foreign currency from commercial banks to meet the demands of their current transactions and other allowable activities. The Government has given assurance to provide assistance in meeting the foreign currency balance of particularly significant investment projects in accordance with Government programs during a specific period. In addition, the Government assures its assistance in the foreign currency balance for projects to construct infrastructure facilities and certain other significant projects where commercial banks do not provide sufficient foreign currencies. The SBV has intervened in local currency interest rates since May 2008 apart from setting the base rate. Commercial banks are therefore required to set their own mobilizing and lending rates lower than 150% of the base rate. Access to cash is now becoming more convenient with the presence of Automated Teller Machines (ATMs) network throughout the country. Traveler’s checks and charge or credit cards, such as American Express, MasterCard and Visa are now widely accepted by travel agencies, hotels, and major restaurants and shops. The inflow of foreign currency into Vietnam is generally welcomed with minimum restrictions, although the transfer of foreign currency out of the country is still controlled. Enterprises with foreign owned capital must open accounts denominated in a foreign currency or VND at a bank located in Vietnam and approved by the SBV. All foreign exchange transactions, such as payments or overseas remittances, must be in accordance with policies set by the SBV. Enterprises with foreign owned capital and foreign parties to BCCs may buy foreign currency from a commercial bank to meet the requirements of current transactions or other allowed transactions, subject to the bank having available foreign currency. The Government may guarantee foreign currency to significant investment projects or assure the availability of foreign currency to investors in infrastructure facilities and other significant projects. Under current regulations, all foreign currency income generated in Vietnam from exports, services and any other sources must be deposited at or sold to licensed banks in the country, except in special cases approved by the SBV. Before May 2003, Vietnamese companies, foreign-invested enterprises, parties to BCCs, FCs and foreign branches were required to sell at least 30% (lowered from 40% in May 2002) of their current foreign-currency earnings upon receipt of foreign currency. From May 2003, the compulsory conversion percentage was reduced to 0%. Generally, banks prioritize the sale of foreign currency to companies that need it to import materials and supplies for the production of exports. 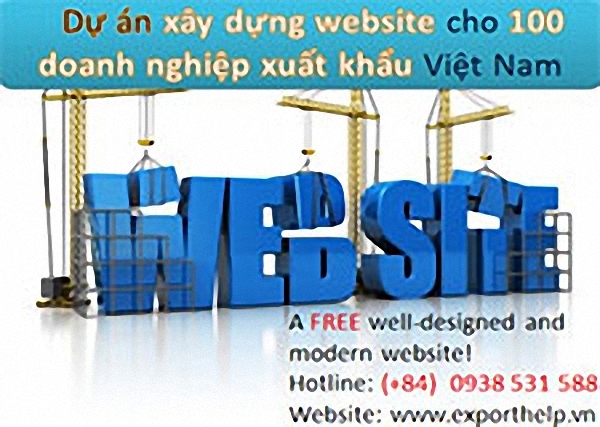 Foreign exchange is regulated by the Foreign Investment Law of Vietnam. Whilst the self-sufficiency rule has been in effect for some time, the SBV has, in the past, been flexible on currency conversion. A substantial trade imbalance may lead the SBV to enforce the self-sufficiency requirement in the future. In addition, Foreign Invested Enterprises (FIEs) may open current accounts in a foreign currency and VND at authorized banks in Vietnam for their business transactions. All medium and long-term loans from foreign sources must be registered with and periodically reported to the SBV. The borrower is required to comply with several other requirements in purchasing foreign currency from financial institutions to repay the loan, e.g. the repayment must be in line with the repayment schedule. Vietnam’s stock market was established in July 2000 in Ho Chi Minh City with two listed companies. The market trades in company issued shares and bonds issued by the Government, credit institutions and corporate. By the end of December 2009, there are 443 companies listed on the Hanoi and Ho Chi Minh stock exchange with total market capitalization of nearly VND210 trillion. The Government has taken measures to develop the market by amending regulations relating to the capital market, reorganizing authority structures, accelerating and linking the SOE equalization process to the stock market. In order to enhance the role of regulators, Decree No. 66/2004/ND-CP placed the SSC under the direct supervision of the Ministry of Finance (MoF) on 19 February 2004. This represents a rational step to the process of stock market development in Vietnam. The MoF is the governing body responsible for the macro-finance policies and development of the financial market, therefore is able to enforce these policies efficiently and effectively. First and foremost, it will increase the volume of high-quality securities in the stock market - a crucial element to the development of the market, and in addition to that, other financial policies by the MoF (i.e. issuing bonds, taxes and fees) would deliver coherence and unification between the stock market and other financial markets, hence ensuring safety for these markets. In September 2005, the PM increased the cap on total foreign shareholdings on domestic companies listed on the securities market from 30% to 49% of the total shares of a listed company, except for listed banks, of which the cap still remains at 30%. Foreigners purchasing or selling shares in Vietnam’s securities market must, however, register for a foreign investment management code with the Stock Exchange Department through a depository bank as prescribed by the SSC. In respect of bonds listed on the stock exchange, foreign investors are allowed to buy unlimited units. Foreign securities institutions who wish to engage in securities businesses in Vietnam must establish a joint venture company with a Vietnamese partner in accordance with a SSC-issued license. The maximum foreign holding allowed in such a joint venture is 49% of the charter capital. Similarly, a foreign investment fund that wishes to invest in the Vietnamese securities market must be licensed by the SSC. 1. Foreign securities companies and foreign fund management companies shall be permitted to establish a representative office in Vietnam after they have registered its operation with the SSC. 3. Within a time-limit of seven (7) days from the date of receipt of a valid application file, the SSC shall issue a certificate of registration of the operation of the representative office of the foreign securities company or foreign fund management company in Vietnam. In a case of refusal, the SSC shall provide a written notice specifying its reasons for the refusal. 5. A representative office shall not be permitted to conduct securities business activities. Special coordination between the MoF, the SSC and the SBV which will help to gradually improve the supervision over the market in terms of registration, custody, publicity and transparency, etc.